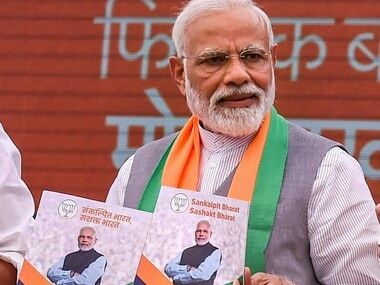 A video presentation by the BJP, on the completion of four years of the Narendra Modi government in office, ends with a new punchline — "Saaf niyat, sahi vikas, 2019 mein phir ek baar Modi sarkar." The BJP has released a number of small videos on social media with the above-mentioned slogan. From this, it is clear that the Modi government and the BJP have entered election mode. Propaganda aside, senior BJP leaders say even in informal private conversations that the party will return to power in 2019 under the leadership of Modi. They are not showing any signs of losing sleep over the so-called Opposition unity. 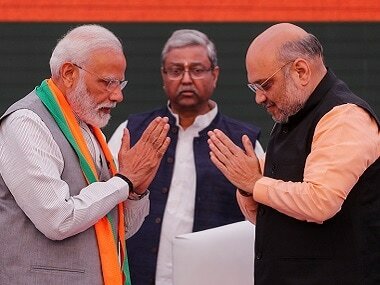 The BJP certainly would be working on a strategy to counter the challenge posed by an alliance of the Samajwadi Party, Bahujan Samaj Party, Congress and Rashtriya Lok Dal in Uttar Pradesh. At the same time, party leaders view such desperate coalitions in the Opposition ranks as signs of the BJP's growing might, not of any weakness. The reasons for the BJP’s confidence are evident. 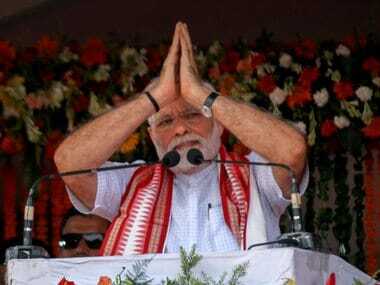 The BJP in 2019 will seek a mandate in the name of Modi, whose popularity remains very high despite four years having passed since the government's ascension to power. His public rallies continue to evoke a high degree enthusiasm from the people. Examples of this are his recent public meetings in parts of Karnataka, Cuttack and Baghpat. The BJP, rather than going on the defensive, has started building a narrative that this is a battle between Modi and the rest. In doing so, it has sought to mock the level of desperation which is present in the Opposition ranks. It remains to be seen how this narrative will play out till May 2019, when the results of the next Lok Sabha election will be announced. However, it has already set the tone for the upcoming political battle, and has become a talking point in the hinterland. This is underscored by the songs that were played on the stage at a rally that Modi addressed before inaugurating the Eastern Peripheral Expressway in Baghpat on Sunday. Modi, in his speech, lashed out at this so-called Opposition unity by saying, "For them (Congress and its allies), the family is the country, but for me, the country is my family. Those who worship one family cannot worship democracy." This is indicative of how he will shape the narrative in times to come. He also had a counter to the caste and community arithmetic of the SP-BSP-RLD-Congress combine. He has proposed a quota within quota, so that the most backward castes (MBCs) can maximise the benefits of reservation. So far, only a few influential OBC castes (like Yadavs and Kurmis) would corner quota benefits. The idea is to build a non-Yadav OBC coalition, something which worked in the 2014 parliamentary elections and the 2017 Assembly polls in Uttar Pradesh. He also took on the Congress and its allies for stalling Parliament and not allowing a Bill to grant constitutional status to the OBC commission to be passed. He had some good news to share for sugarcane farmers in the region as well. The coming together of Opposition parties at HD Kumaraswamy's swearing-in was billed to be a show of strength of all forces opposed to Modi. Most of the leaders on stage were dynasts who inherited the legacies of the older generations of their families. These included Sonia Gandhi, Rahul Gandhi, Kumaraswamy, Akhilesh Yadav, Tejashwi Yadav, Ajit Singh, Hemant Soren and Chandrababu Naidu. Consider the situation now. Five days have passed since Kumaraswamy assumed the office of chief minister, but he has so far not been able to form his government. Initially, Congress' DK Shivakumar and G Parameshawara made some comments in which they essentially raised doubts about Kumaraswamy’s leadership and the longevity of the coalition government. However, the most instructive comment was by Kumaraswamy, who said that he is at the mercy of the Congress and not of the 6.5 crore people of the state. He admitted that the people had rejected him and his party in the election. "The people of the state rejected me and our party. I had sought an absolute majority. I have heard the statements of farm leaders too and how much they supported me…..Mine is not an independent government. I had requested the people to give me a mandate that prevents me from succumbing to any pressure other than you. But today, I am at the mercy of the Congress. I am not under the pressure of the 6.5 crore people of the state," Kumaraswamy said. He also said that he has to take permission from the Congress before doing anything. No leader in a position of authority in recent memory (even if he/she has actually been a puppet) has openly admitted to being remote controlled by someone else. 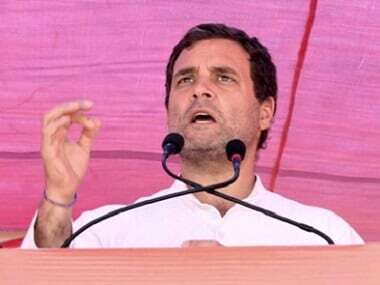 Amid this political drama, Rahul Gandhi announced on Twitter that he has left to an undisclosed foreign location for an annual check-up of his mother Sonia Gandhi's undisclosed ailment. It is open to speculation as to who in Rahul's absence will take the final call on the contours of the coalition with Kumaraswamy, or with any other prospective ally. A major talking point from the Opposition's 'show of strength' was the overt friendliness between Mayawati and Sonia Gandhi, as also between Mayawati and Akhilesh Yadav. But on Saturday, Mayawati announced the terms on which she would ally with the SP and Congress. 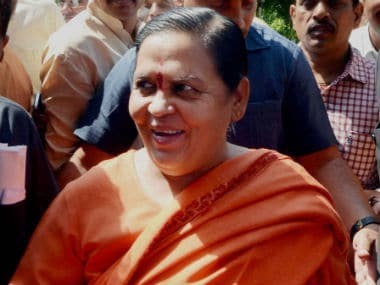 This is despite the fact that her party does not have even a single member in the Lok Sabha and only 19 MLAs in the 403-member-strong Uttar Pradesh Assembly. Mayawati, speaking at the BSP's national executive meeting, made it clear that she would enter into an alliance only if she was given a respectable number of seats, and that otherwise she would go alone in parliamentary elections. Her supporters privately claim that she is the only rightful claimant for the post of prime minister (if the situation arises) from among the Opposition leaders.